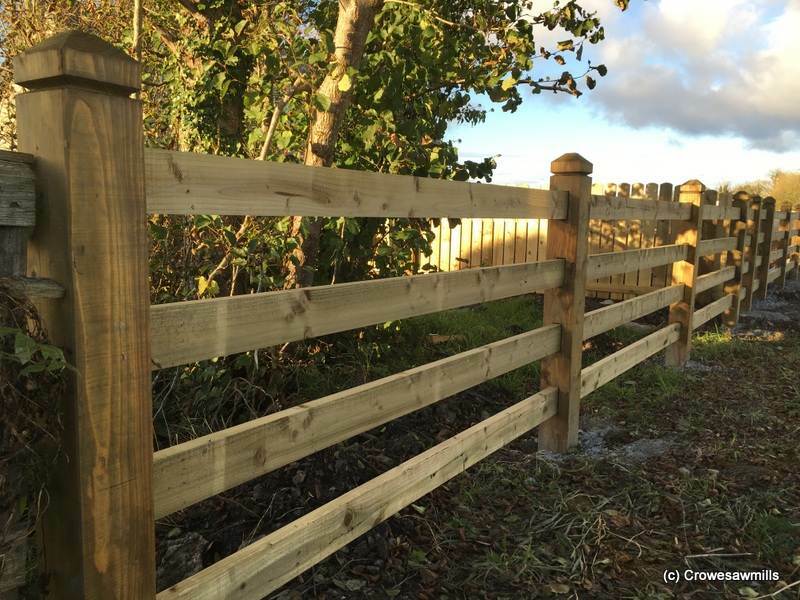 Morticed Post & Rail Fence using 1.8m x 150mm x 150mm Posthead Larch Posts and 4.8m x 125mm x 44mm Rails all PAO and pressure treated. Finished height of fence is approx. 1.2m to top of post, posts are at 2.4m centres.